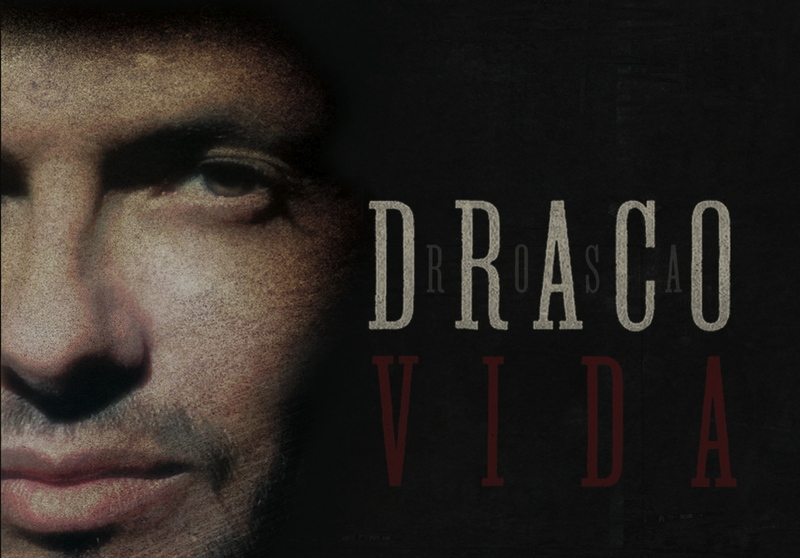 Draco Rosa’s last album, Amor Vincit Omnia, was released nine years ago. Since then, he went to his home in Utuado, Puerto Rico, wrote a book titled El Secreto de la Vida with plant-based recipes, and focused on his healing. The new album, Monte Sagrado, which translates to “Sacred Mountain,” represents all of that. In the album, Draco uses standard rock instrumentation, and the kind of vitality achieved through live analog recording, to pay homage to Puerto Rico and life. It feels connected to his early rock album, Vagabundo, which was remastered and released on vinyl on its 22nd anniversary this past summer. “Monte Sagrado is really a celebration of life. You know it truly is. I mean it talks about death and we can’t avoid talking about this, and deep down inside you know that’s the thread that runs firm and the vein that I walk in, el sendero as they say in Spanish, it’s always been of melancholy,” he told Latino USA. 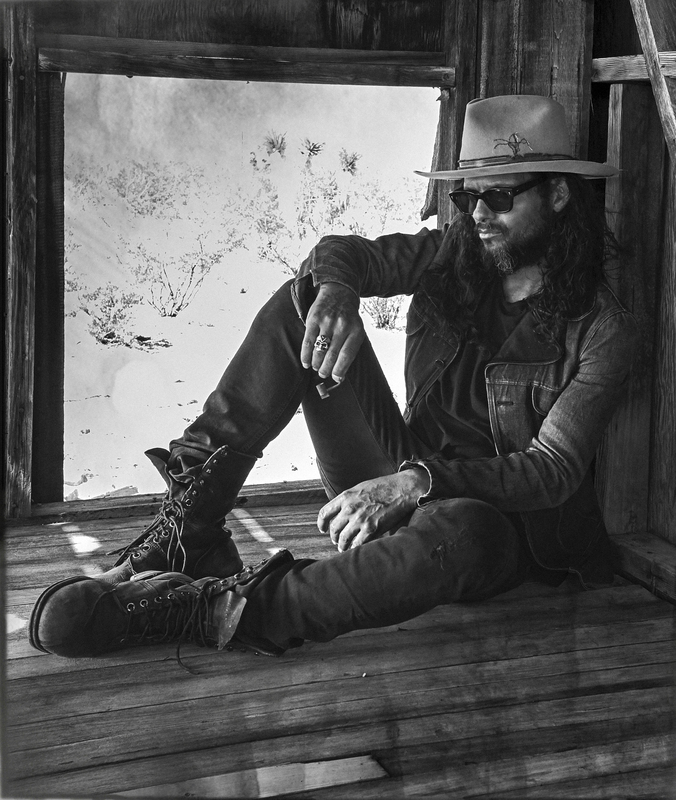 In the following interview and “How I Made It” segment with Latino USA, Draco Rosa talks about his career, his battle with non-Hodgkin’s lymphoma, Hurricane María, and the creation of Monte Sagrado. LUSA: Monte Sagrado is your first album with new music since 2009. What can you tell us about it? Draco Rosa: I prepared a bunch of songs and presented them to Sony prior to starting Monte Sagrado and it was great. It was a good vibe. Beautiful songs. But something happened. 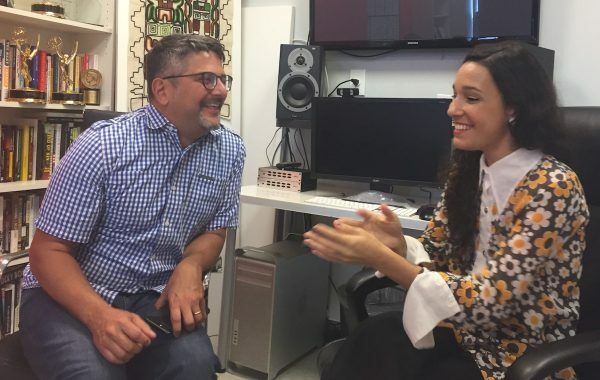 I went to the studio last April, and I was in Puerto Rico at the studio of Phantom Vox and I just was feeling kind of normal but at the time I didn’t know it was normal. I was just feeling a little different. I was just comfortable but it was so foreign to me. I actually called my doctors and my doctor goes, “Relax, it’s a good thing. You’re just feeling normal. I know it doesn’t feel like it but you’ve been on a lot of medications and we’ve been, you know, slashing those doses down over time.” And so April was exciting because I had some vitality. I just felt so energized. And so Monte Sagrado is really a celebration of life. You know it truly is. I mean it talks about death and we can’t avoid talking about this, and deep down inside you know that that thread that runs firm and the vein that I walk in, el sendero as they say in Spanish, it’s always been of melancholy. It’s just an appreciation for a certain aesthetic in life and that’s all the way around internally and externally. Monte Sagrado is a product of me feeling a certain vitality that I could not turn my back on. LUSA: What’s the process of creating music for you? Draco Rosa: So with this record, we used analog. We went and recorded live and then the hurricane came and put a stop to everything so I had to move. I went back to Los Angeles from Puerto Rico and I set up shop at home. I had a good time singing at home. For some reason you know in the Hollywood Hills, there’s some magic up there are really close to where there’s been so much history with music and rock n’ roll from Lennon to Hendrix, Clapton. You think about all those, Jim Morrison, all that up there. So when I was up in the Hollywood Hills at the houses, [I thought] I’m supposed to be here. The universe is like “this where you need to be” and so I was glad that I was in tune with that. LUSA: What is the connection between Monte Sagrado and your past work? Draco Rosa: There’s a connection of energy. The energy is that connection for me. When I look back on some of the recordings… I wrote some of Vagabundo on a nylon string, and today you know I play a supro from the 50s. I bought it and it’s the best thing. I think guitars are possessed with something. You can call it romantic and silly. There’s something about when you buy an old guitar, some power or some energy to it. These instruments, you know, they have a thing and they take you places. So I think music for me, I bring all this back because it’s like, it’s all the experience. It’s a people thing, it’s an emotional ride. The stories you hear… your own personal sufferings, your own personal trials and tribulations that sort of send you in a certain direction at a certain point in time you hope that you coincide with the universe. LUSA: Is there a relationship between Monte Sagrado and Puerto Rico? Draco Rosa: Absolutely. You know, I like to think of that, Monte Sagrado says a lot. It says obviously, where I live in Utuado es sagrado, es sagrado porque ahí está el parque ceremonial indígena donde estaban los taínos (it’s sacred, it’s sacred because that’s where the ceremonial park was where the Taínos were), running from the Spaniards, right? I have 100 acres right there. You know there’s el batey where they used to play and so there’s a lot. Se me paran los pelos (I get goosebumps). So up there is Monte Sagrado. And then there’s a hidden track that really pays tribute and almost asked permission to be there because of that I put the studio there to make music, so sometimes it’s beautiful, very spiritual. So Monte Sagrado not only represents that but also represents the island of Puerto Rico as a whole. But then it transcends even that because I think that every human, I think at the end of the day, ojalá, that we all end up in a Monte Sagrado because that is you know another word for heaven. Es algo muy celestial (it’s something very celestial). LUSA: How did overcoming an illness impact your creativity? Draco Rosa: After Monte Sagrado, I had clarity to look back where I came in, where I started. You have a certain anger, certain thing that you walk with. You get ill, you start asking why? why? The first time battling non-Hodgkin’s lymphoma, I met great people along the way. Nena Niessen, I did the book with her, Secreto de la Vida. People come into your life, drop from the sky, knock on your door. She’s there to help you. And she told me something, to forgive myself because of course I think the first time I was a little hard on myself, you know, just being crazy. I was just living life a tope (to the fullest) whether it was sailing and motorcycles, driving, no license, and just out there looking for an adventure and a little too curious at times. And I told her the story and she was like, “Hey, you have to forgive yourself.” I didn’t quite get it. Second time I had cancer, because I had a relapse seven months later, then I was like… I forgave myself and one of the things that happened in that forgiveness while I was in cuarentena (quarantined) just recuperating and feeling like if I went to sleep, I’m not going to wake up, so I try to stay up. I just found gratitude at my worst moment. You go over everything. In your mind, you have all that alone time. You don’t feel like playing a guitar. You don’t feel like singing the piano. Music in that moment isn’t where it’s at, you know, it’s just about you internally. You’re very much inside trying to make sure the engine is running inside, that’s the only thing. You’re the keeper of that realm you’re like you’re doing your best. But I’ve found gratitude at my worst moment and that fear, that confusion, all that uncertainty started to go away. And I felt a little bit of peace with that. And I think here I am today. You know that’s one of the things I’ve been holding on to as much as I can. It’s not easy obviously. I get upset about the situation in Puerto Rico. It’s a tough one to deal with. I try to manage just 100 acres. What is to manage an island let alone, when you can’t really? You’re not the one who manages the island, somebody else from the outside is managing an island. I don’t know how they expect to do that. They try to link it up, “Oh, we did it in Detroit,” and Puerto Rico is no Detroit. And so I think these things eat at me and take me back. I always gotta cambiar el chip (change the chip) and try to stay positive. You know every day, it’s another type of cancer that you have to manage in the whole Puerto Rico situation and it’s unfortunate. There’s a lot of money involved and a lot of promises that are made and then everybody else suffers. It’s the same story everywhere. This is a tough one to deal with it. LUSA: You were in Puerto Rico when the hurricane hit? 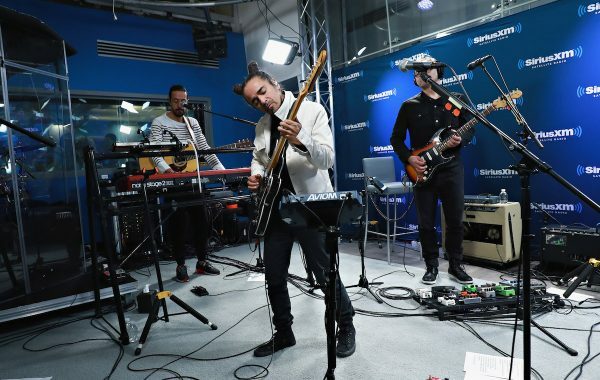 Draco Rosa: I was there when Irma hit, but I was about to do an evening with these series of shows I do call “An Evening With,” which was just intimate little spots. So I was there with Irma, my mom and dad were at the casona (house) up in Utuado, my buddy Hector was there and then you know I had to leave, my parents left. We secured the house with another buddy. And some of us took off. I came back maybe a few weeks later to find, you know, trauma and a bunch of zombies walking around and it was really sad and it was contagious, you know sadness, it’s contagious. LUSA: Did it impact the album at all? Draco Rosa: I mean, I guess indirectly, you know? To say it doesn’t is weird but at the same time to tell you that ‘Yes, you know, I did this record you know for the hurricane.’ No, I did other things through the foundation, the Vox Forte Alliance foundation. So I did things to help through the foundation and we did work a little with FEMA and we did work with a couple of hospitals. We set up a triage over at the farmhouse so folks would come and then I have a great relationship with Ram Trucks and they gave us trucks so we were able to send doctors, nurses. We were able to send goods to those places that were hard to get to. [It’s] interesting that politicians always want to come and get a photo op. You know it’s just ridiculous. It’s always in bad taste and it was my colleagues that also showed up to do their hero performances and document and leave, [it] was very also very strange… disaster capitalism at its best. It’s all in bad taste and shame on the government, on both husband and wife [Governor Ricardo Rosselló and Beatriz Rosselló] for pulling that little stunt and several of the stunts and all of the ridiculous folks that had that moment of throwing paper towels when Trump was there. Another ridiculous moment, you wonder why didn’t anyone throw it back? LUSA: The song and video “333” is the story of your life, and it takes place in a world that was designed by your son Rebel. Can you talk to us about the video and what is next in your life? 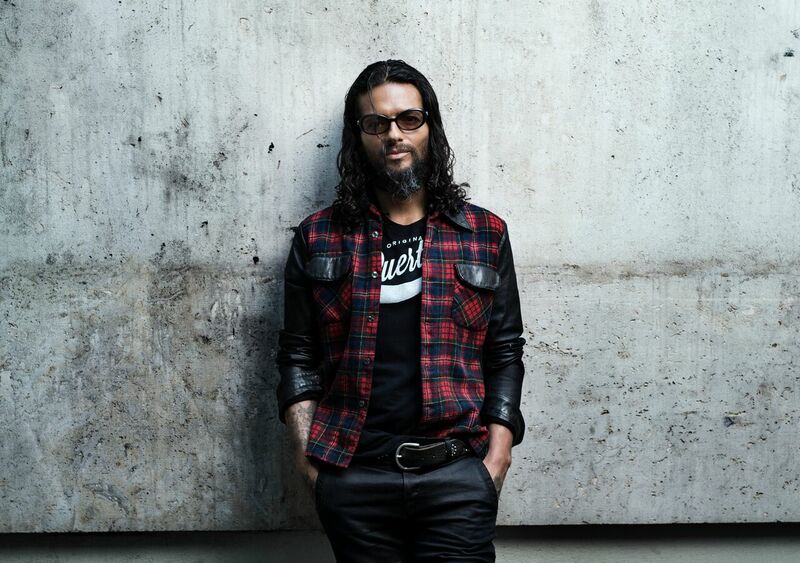 Draco Rosa: I’m a been a surrealist at heart since I was a kid. Ever since I started in all fairness since 1977, more or less, when Star Wars dropped in the movie theaters, it changed my life. It began to consume things. Fantastic things and I started really paying attention to you know poetry as music a song right. La lírica (lyrics), and all these things spawned from Star Wars. It changed my life, you know. I hope to continue the animation, the live performances. We’re moving on to doing this new record which was the record that I was supposed to deliver. You know, a lot of it just depends on the health and all. There’s a lot. The bucket list is a long one. I do this thing that I hopefully will do next year. It’s a ride for life, ride por la vida. We did it in March last year in Puerto Rico, 600 bikes around the island and I love doing things that are motorcycle-centric for the foundation. I hope to do one of those. I also have a festival called “Festival Larga Vida” (“Long Life Festival”), which is a longevity festival. I had all kinds of cool people sharing wealth of knowledge on how to live as healthy as possible. So that festival we have going on. So there’s a bunch of projects, tending to the coffee, which I love.